Covanta (formerly the Ogden Corporation) is a large global corporation that provides a variety of waste-management and incineration services. Annually, Covanta's Energy-from-Waste (EFW) facilities, also known as waste-to-energy plants, burn approximately 20 million tons of waste from municipalities and businesses, while also generating sufficient electricity to power one million homes. Covanta recycles approximately 500,000 tons of metal each year. Through a large network of treatment and recycling facilities, the firm also provides industrial material management services to companies in various industries. Skylands Energy Service Is Central NJ's Go-To Contractor For Fuel Delivery, Heating & Cooling Repairs, Maintenance & Service. Free Quotes. Call Today! ACV Enviro has been providing a wide array of quality services to clients for nearly 40 years. This full-service industrial service firm has built a reputation as a leader and innovator in helping solve the toughest industrial waste problems in the country. ACV utilizes the latest technology and state-of-the-art equipment and works with municipalities as well as large and small corporations with their hazardous waste transportation and disposal needs. MSW Energy Holdings, LLC holds indirect membership interests in Covanta Ref-Fuel Holdings LLC, which owns partnerships that engage in the ownership, development, and operation of waste-to-energy facilities. These waste-to-energy facilities combust municipal solid waste and produce energy in the form of electricity and steam. As of March 31, 2006, it owned or controlled six waste-to-energy facilities located in the northeastern United States. The company was founded in 2003 and is headquartered in Fairfield, New Jersey. MSW Energy Holdings, LLC is a subsidiary of Covanta Holding Corporation. Organica Technologies is an organization that builds wastewater treatment plants that can be used in agriculture, irrigation or municipal areas using patented technology. Margate City is a city in Atlantic County, New Jersey, United States. Industry Grade Battery Systems Built to Provide Portable Off-Grid Power. From emergency operations centers to music festivals, Gridless battery technology is there to give you the power you need. Paulaur Corporation is a private family-owned business, established in 1980. We operate two state-of-the-art facilities located in Cranbury, New Jersey. Founded in 1997, Classic Rehab provides home and community-based therapeutic services to children, teens, and adults who have developmental and physical disabilities. 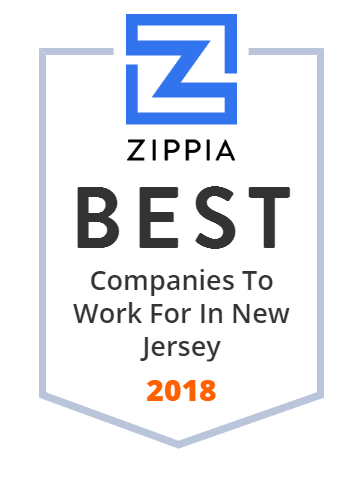 Since its founding, the company has helped thousands of clinicians and therapists in New Jersey by providing them with everything they need to service an expanding and increasingly diversified population. It also offers workshops and seminars for the novice and seasoned clinicians. North Plainfield is a borough in Somerset County, New Jersey, United States. Providing State-Of-The-Art Sampling & Analysis, And Engineering & Environmental Geophysical Services On Land And Water. New Jersey, Florida, serving the east coast. ACUA protects natural resources with recycling, solid waste management, and wastewater treatment throughout southern NJ. ACUA leads the way by using renewable energy to power our facilities and fleet. Founded in 1957, Lorco Petroleum Services is one of the foremost leaders in the petroleum recycling industry. The company has been recognized and approved by many international corporations, including major oil, Fortune 500, pharmaceutical, and manufacturing companies for the transportation, recycling, and disposal of their various petroleum products. Lorco has state-of-the-art facilities located in Elizabeth and Camden, New Jersey and Elkton, Maryland. State Metal Industries manufactures high-quality specification secondary aluminum ingot. They have been providing superior customer service since 1948. For more than a half century State Metal Industries has been an industry recognized supplier of standard and specification aluminum. A busy secondary aluminum source melting millions of pounds of scrap per month. Pemberton Township is a township in Burlington County, New Jersey, United States. Brilliant Light Power, Inc., formerly BlackLight Power, Inc.
Russell Reid provides you with non-hazardous waste management solutions and superior waste management services. See how we can help! Euro Solar Parks, Inc. develops, builds, and operates commercial solar power plants for the European solar energy market. The company, through its subsidiaries, offers engineering services for infrastructure projects in the fields of energy supply and telecommunications; and provides management services to the solar energy industry, as well as owns contractual rights to develop solar power plants in Serbia. Euro Solar Parks, Inc. was incorporated in 2008 and is headquartered in Upper Saddle River, New Jersey. Euro Solar Parks, Inc. is a subsidiary of Greenfield Investments Ltd. Greater Newark Conservancy promotes environmental stewardship in New Jersey's urban communities through environmental education, community gardening, beautification of neighborhoods, job training opportunities and environmental justice advocacy. Ocean Power Technologies is a US-owned renewable energy company, providing power generation devices, services and related equipment for the extraction of energy from ocean waves.